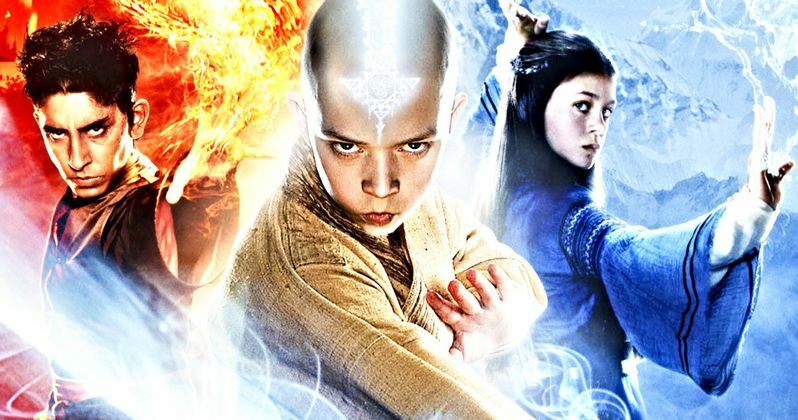 Avatar: The Last Airbender is officially being turned into a live-action series. Netflix has announced that they are taking the beloved Nickelodeon animated series and, with original creators, Bryan Konietzko and Michael DiMartino, will bring it to life. This is being billed as a re-imagining of the original series and, while not a lot has been revealed at this time, it's no doubt worth getting excited about. Here's what the creators had to say in a joint statement. Nickelodeon is producing the new take on the series in partnership with Netflix. It will air exclusively on Netflix. Avatar: The Last Airbender originally aired from 2005 to 2008 and is an Emmy and Peabody award winner. Not for nothing, but the series currently has an unblemished 100 percent approval rating on Rotten Tomatoes. It centers on Aang, a powerful Airbender, who, along with his group of friends, sets out to defeat the Fire Lord Ozai. There have been continuations, such as the spin-off series, The Legend of Korra, as well as the well-liked comic books. Most notably, there was the live-action movie, simply titled The Last Airbender, directed by M. Night Shyamalan. Released in 2010, the movie was an absolute flop and, to say the least, isn't well regarded. Let's hope this series doesn't suffer the same fate. Chris Viscardi, senior VP animation production and development at Nickelodeon, had this to say in a statement. "Avatar: The Last Airbender continues to grow and resonate with fans around the world due its combination of relatable characters with all their foibles and a fully realized world of epic, high-stakes stories and adventures. This partnership with Netflix is part of our broader efforts at Nick and Viacom to tap into our enormous library of culturally resonant properties to produce new interpretations, and we can't wait for people to see Netflix's live-action version of Avatar." The series will go into production in 2019, but there is no word yet on a release date or episode count. In order to get the hype train moving in the right direction, Netflix released an early piece of concept art for the Avatar: The Last Airbender series, which features Aang and his big loveable buddy Appa. And it's sure to instill some confidence in fans. We'll be sure to keep you up to date as more details on the project are made available. Be sure to check out the concept art from Netflix's See What's Next Twitter account for yourself below.